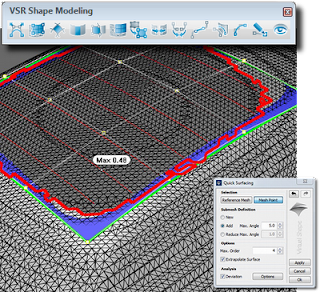 Virtual Shape Research (VSR) announces the availability of the service releases Shape Modeling 1.1.1 and Realtime Renderer 3.1.1. Both releases are free for existing customers and work with the 1.1 resp. 3.1 license.